The Saturday after Valentine's Day, keep spreading love and bring your family and friends to "the smallest show in town--Share the Love Edition!" 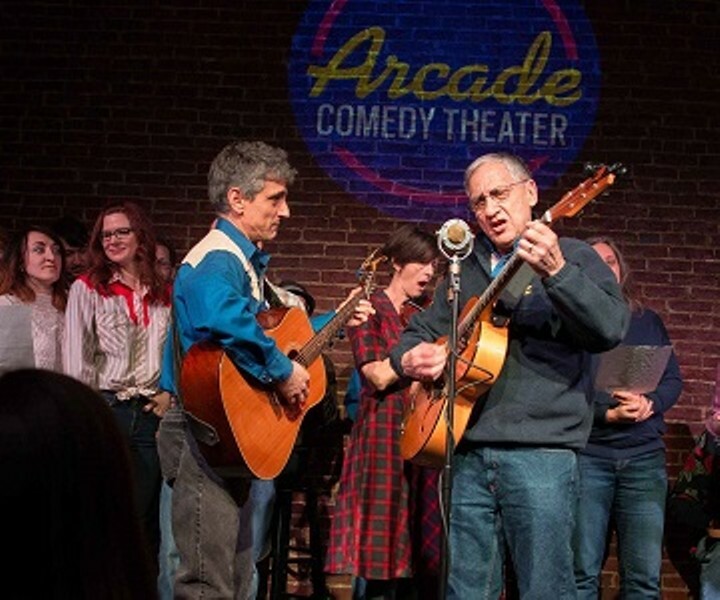 This all-ages, family-friendly variety show that features acoustic music, storytelling, and improv comedy--all with the smell of frying butter in the air. That's right--grilled cheese sandwiches made to order! Seating is general admission. To help improve access to our show for folks who cannot afford our regular ticket prices, a "Pay what you wish" option is now available ONLY for online ticket sales. Price: Admission is 12$ for adults, 7$ for seniors and kids!